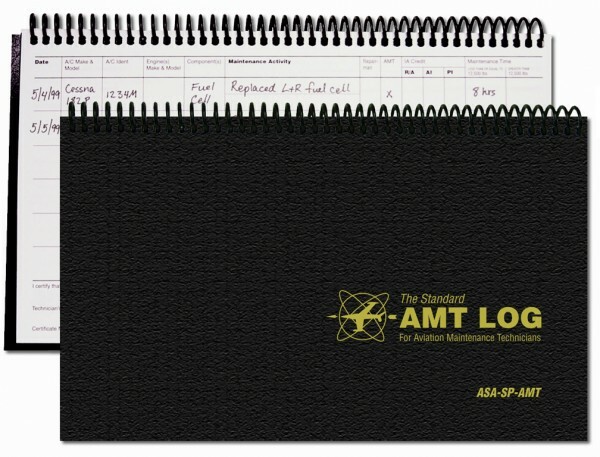 Designed for Maintenance Technicians (AMTs or A&P mechanics), IA-qualified mechanics, and students to log training and educational requirements, work performed, and experience for the purpose of tracking for future certification, recurrency, employment applications, school records, or insurance applications. Use of this log is one method of meeting the requirements of 14 CFR Part 145.163(c). Plastic coil binding stays open on current page.